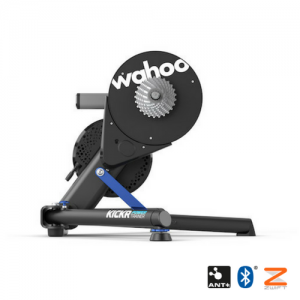 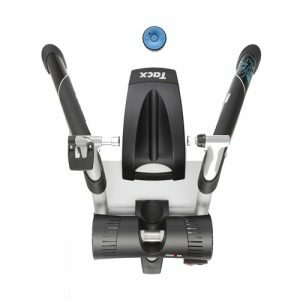 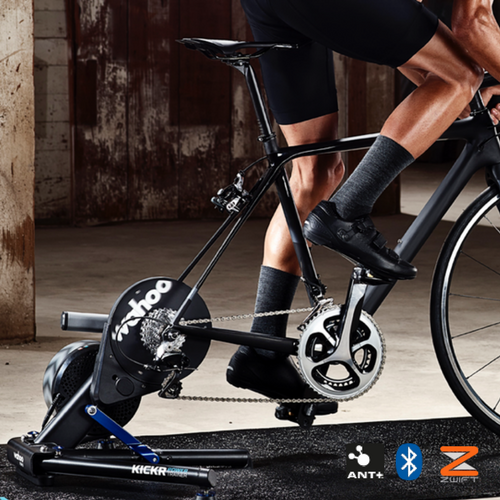 Brand new in 2017, the ultimate indoor bike trainer, the Wahoo KICKR Power Smart Trainer, is better than ever! 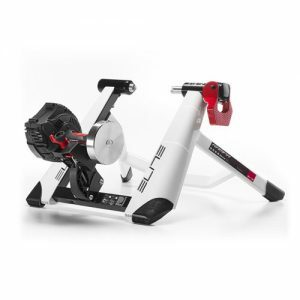 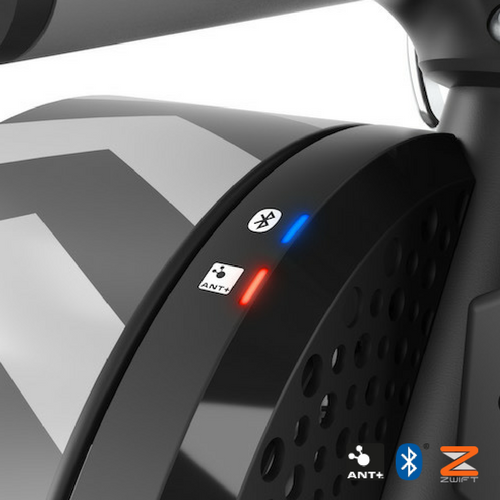 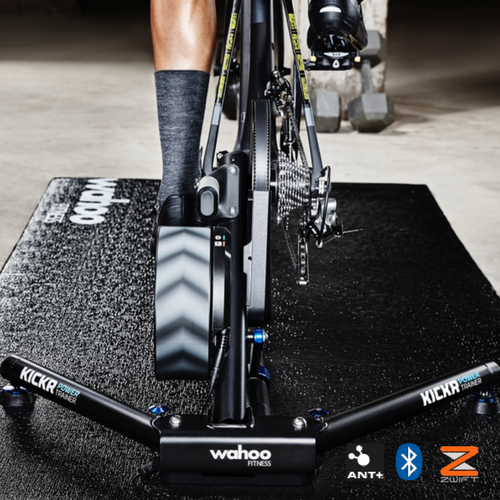 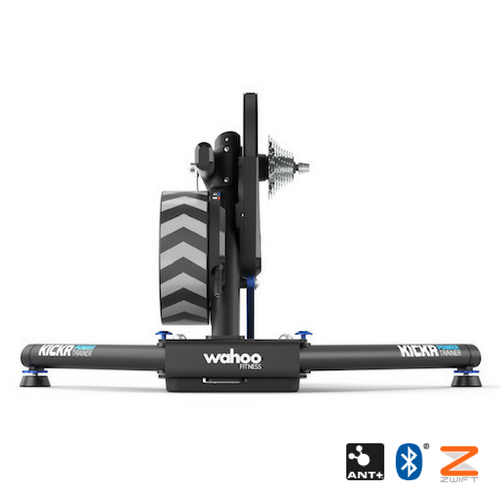 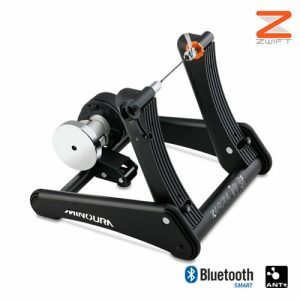 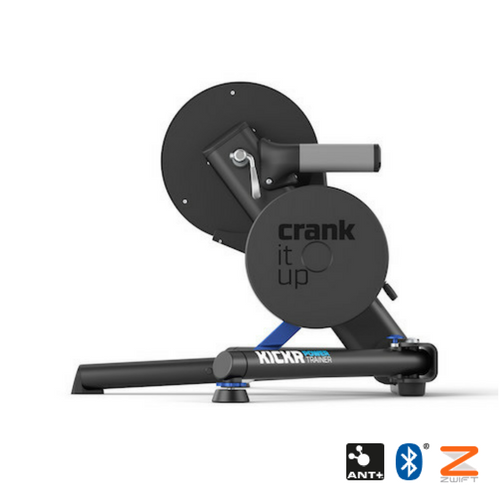 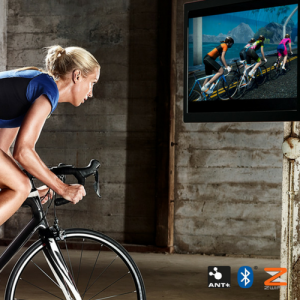 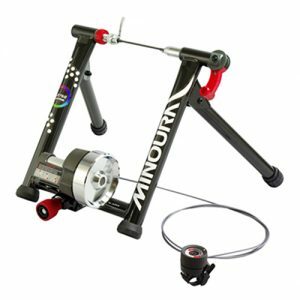 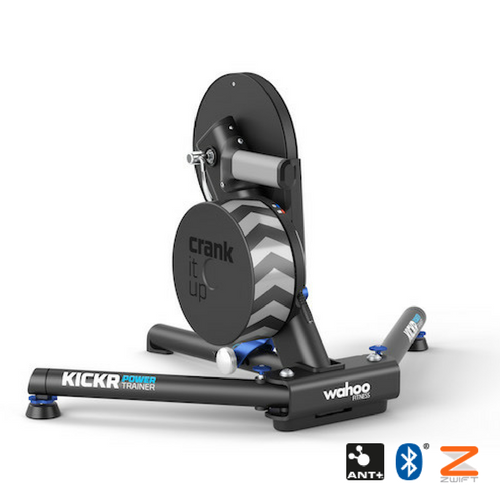 Take the rear wheel off your bike and connect to the Wahoo KICKR Power Smart Trainer for accurate power measurement, controlled resistance, open third-party software options, and the smoothest indoor riding on the market. 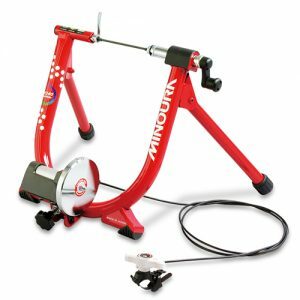 Pain cave, meet your new best friend. 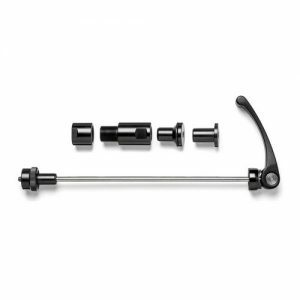 Ride a Campagnolo? 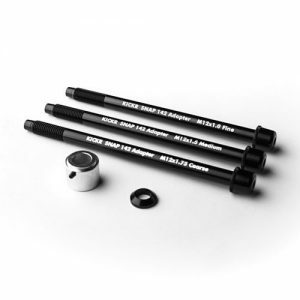 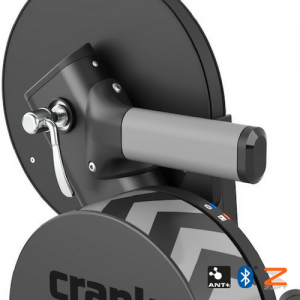 You’ll need our Campy Adapter! Discover why the Wahoo KICKR is the choice of Team Sky and performance athletes consistently sporting the yellow jersey.